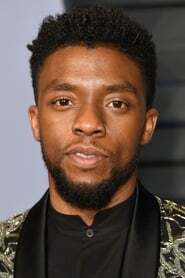 Chadwick Boseman is an American actor, playwright, and screenwriter hailing from Anderson, South Carolina. He graduated from Howard University and went on to study at the British American Dramatic Academy in Oxford. Boseman's play "Deep Azure" was nominated for a 2006 Joseph Jefferson Award for New Work. His breakout role was playing the lead Jackie Robinson in 2013's 42. The database contains 188 images with Chadwick Boseman, divided over 10 titles.